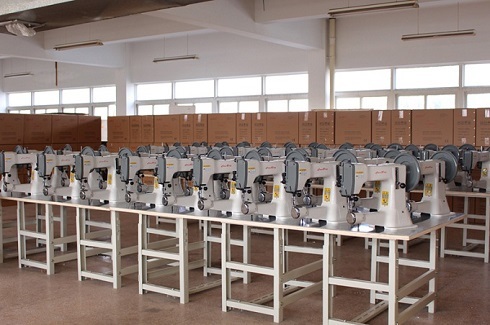 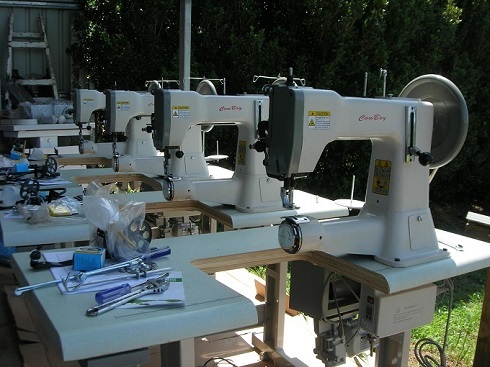 CowBoy CB3200 leather sewing machine is the lowest cost heavy-duty compound feed walking foot lockstitch sewing machine available on the market today. 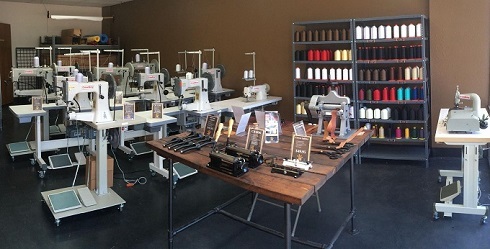 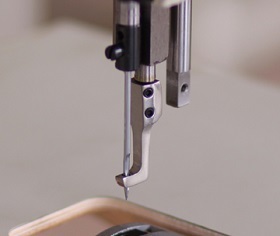 Below special sewing attachments and accessories are available for improving productivity and meeting your individual sewing requirement. 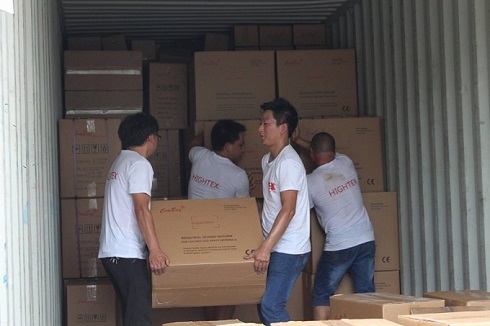 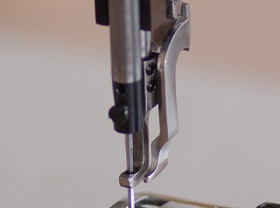 #HT-MC01 Material Guide / Edge Guide: easy to make sure straight stitch. 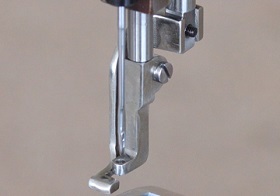 #4500F-A4 Inside walking foot with groove: the groove underside avoid pressing on thread (for example braided thread) during sewing operation, guarantee perfect finish. 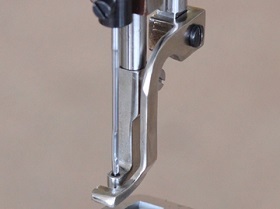 Note: A1, A5 or A6 must work together with A2, A3 or A4, when order please be sure a pair of "A" class press foot. 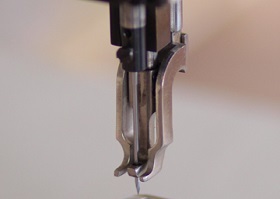 #3200F-B1 Outside blanket foot (standard supplied in accessoires box): Ski toed feed with teeth on the bottom to grip and help to feed fabric and webbing. 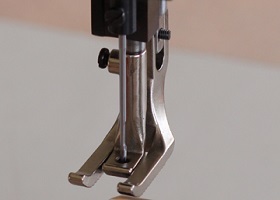 #3200F-B2 Center blanket foot (standard supplied in accessoires box): Ski toed feed with teeth on the bottom to grip and help to feed fabrics and webbing. 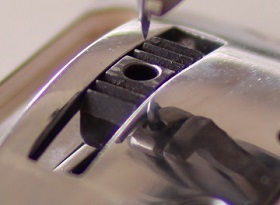 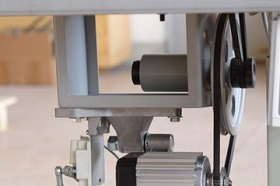 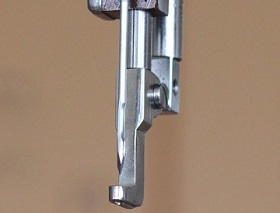 Note: B1 must work together with B2, when order please be sure a pair of "B" class press foot. 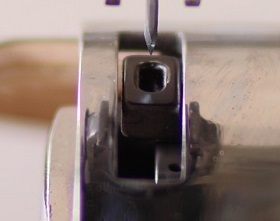 Note: C1 or C2 must work together with C3, when order please be sure a pair of "C" class press foot. 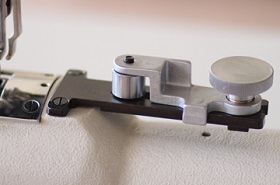 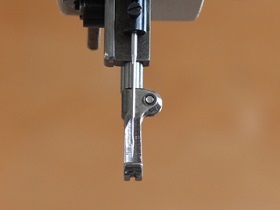 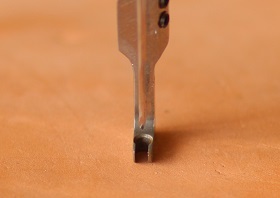 #4500F-D1 Inline foot set: allows you to sew very close the the edge of the material. 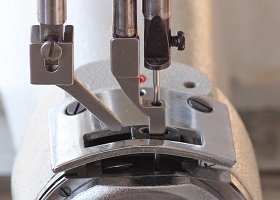 #4500F-E1 Cord piping foot set: designed to handle large welting that the standard piping foot cannot walk over. 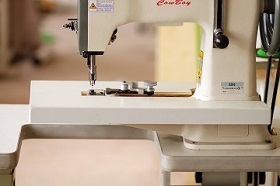 #3200D-1 Leather feed dog (standard assembled on machine): avoid marks when sewing leather goods and upholstery. 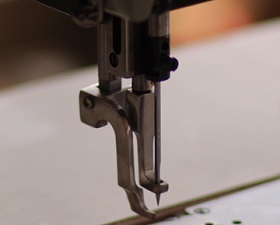 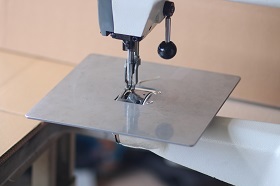 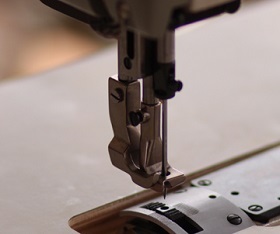 #HT-TA04B Flat table top attachment: same as #HT-TA04, but it is smaller and easy to install, create a flat sewing surface to allow for better stitching with certain types of work.